I remember the very first batch of cookies I ever baked. Classic chocolate chip, all flat as a pancake, ultra crispy and so oily they were practically swimming in butter. I was in high school at that time and have tried several different recipes since, some with acceptable results and others not so much. None have been overly memorable – none that is, until now. A four-day weekend with no plans to get out of town and dodgy autumnal weather is, for me, the perfect opportunity for cooking experiments. I wanted to make something specifically Easter and what is more evocative of Easter, in terms of food, than chocolate. Well, actually, there are hot cross buns but I’ll get to that in a moment. Almost every Easter for as long as I can remember, my parents have bought me some form of Easter-themed chocolate, ranging from marshmallow eggs to big chocolate rabbits. My personal favourites are the marshmallow eggs and that’s why I thought it would be quintessentially Easter to bake some chocolate cookies filled with gooey marshmallow. 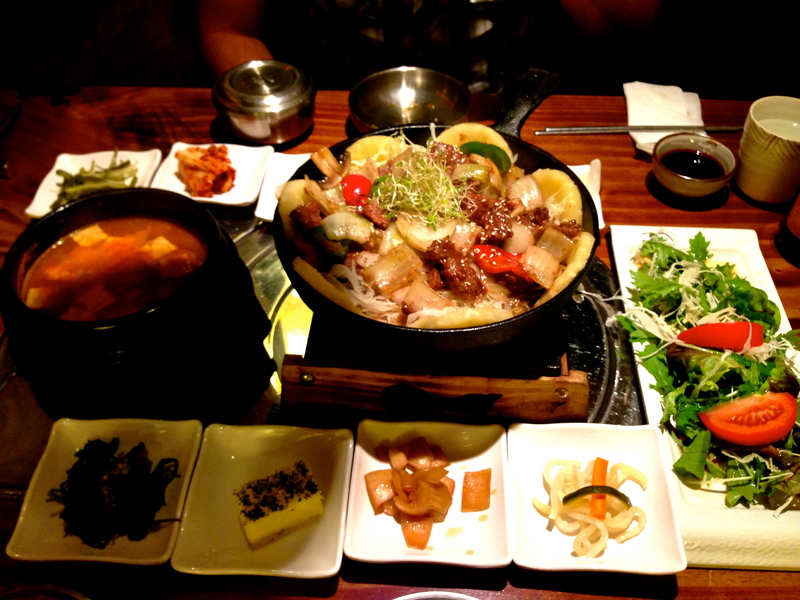 Sounds sinfully delicious, doesn’t it? I used a basic chocolate cookie recipe and sandwiched some mini marshmallows between two rolled out cookies to make one big cookie. 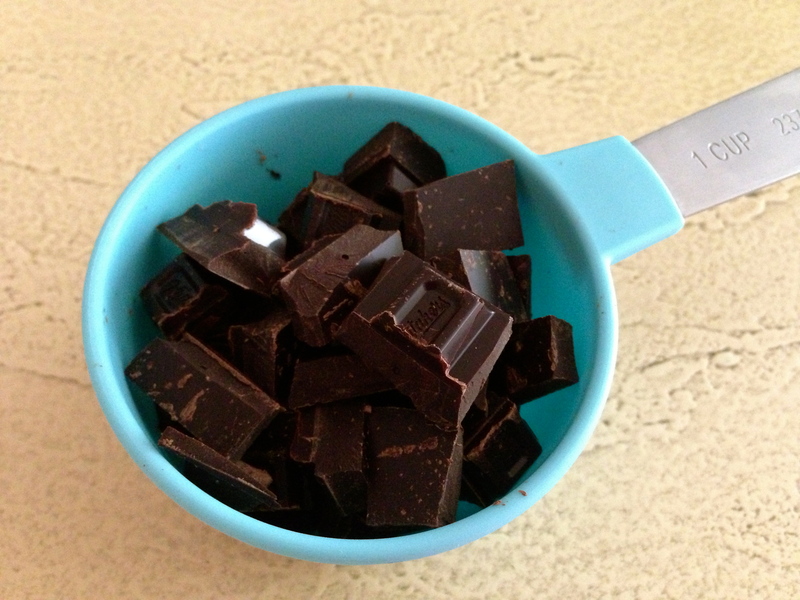 I also chopped up some dark chocolate to use as chocolate chunks, which I folded into the dough. I ended up with about 7 cookies that were soft, chocolately, marshmallowy and very sweet. So yes, very decadent but not the cookie for me. I found them just a bit too sweet, with too much chocolate and too sticky in the mouth. Before the weekend I was all set on making this my big Easter baking success but on Thursday, I remembered there’s something else just as quintessentially Easter as chocolate. 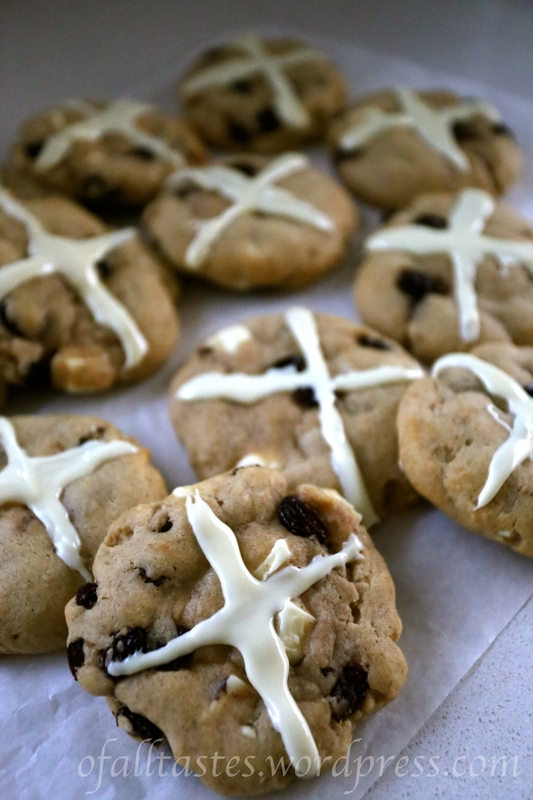 People go nuts for hot cross buns and I figured I could get more experimental if I turned those delicious little spiced pillows of bread into a cookie. I tried out a recipe for brown butter salted caramel cookies the other week and really liked the dough so decided to use that as my foundation and build from there. 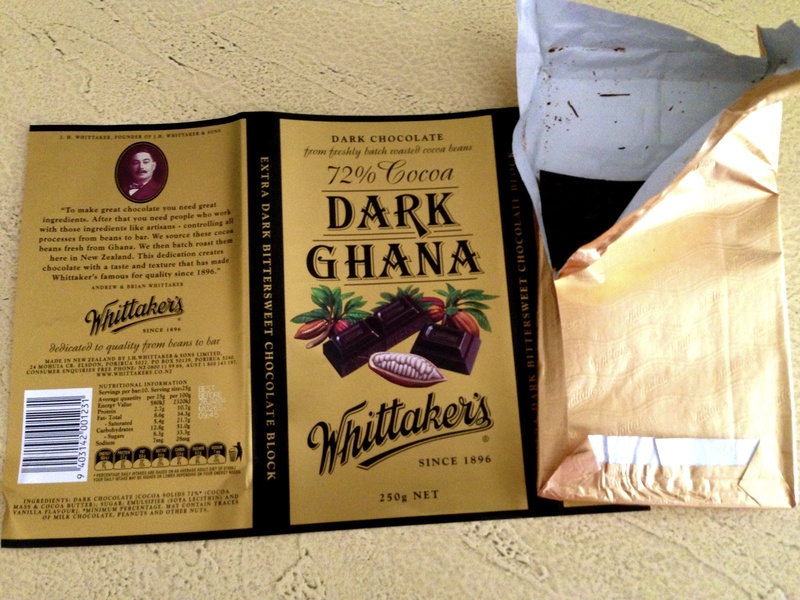 I got the spices in there by infusing them into the browned butter and I added white chocolate bits, just ‘cos. Thankfully, they ended up going really well with this recipe. As far as cookie experiments go, this is my favourite so far because I got to be a bit creative with them and they taste pretty good too. 1. Soak raisins: Place raisins in a small bowl together with boiling water. Cover with a plate for 10 minutes, or for however long you have. If you want to add a “special” touch, add a bit of rum as well. 2. Prepare dry ingredients: Sift flour, baking soda, cream of tartar, salt and cinnamon into a bowl. Put aside. 3. Brown butter: Place butter, cloves, cardamom, nutmeg and ginger into a saucepan. Gently melt butter in a saucepan over medium-low heat, stirring constantly. Remove from heat when brown specks start forming on the bottom of the pan. Let cool to room temperature. 4. Cream butter and sugar: Strain cooled butter into a bowl with the sugar. Use electric beaters to combine butter and sugar until smooth. You won’t get it completely combined because of the consistency of the butter but give it a good whisk for a couple of minutes. 5. Add other ingredients: Beat in egg and then the yolk. Add vanilla extract and yoghurt and fold in mixture until combined. 6. Add dry ingredients: Mix in flour a bit at a time until all combined. Fold in raisins and white chocolate. 8. 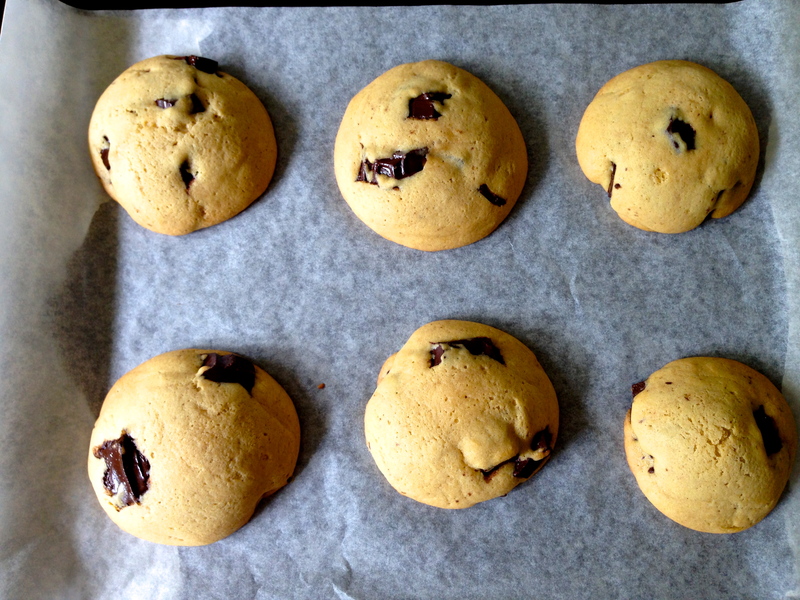 Bake: Heat oven to 176°C (350°F) and prepare baking trays with baking or parchment paper. Roll about 2 tbsp of dough into a ball, flatten with palm and place on tray. 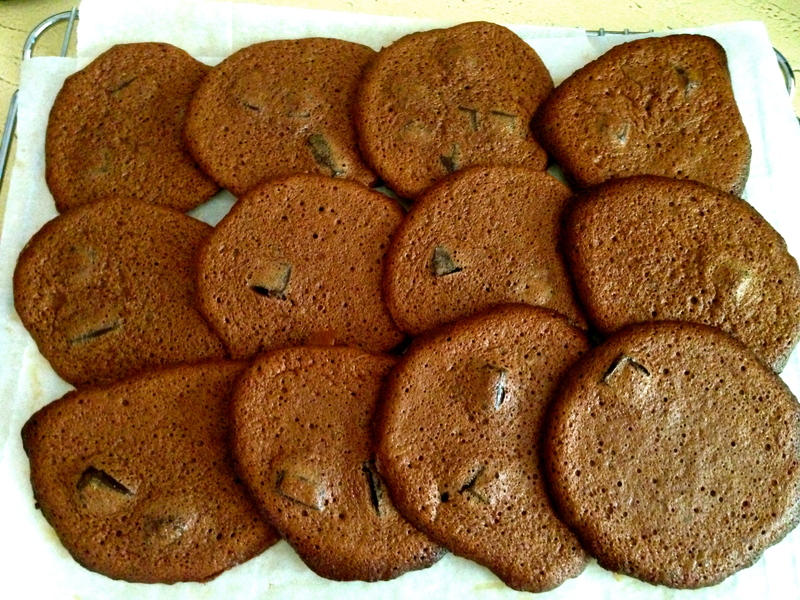 Repeat until trays are filled, leaving about 5cm (2 inches) between each cookie. Bake in oven for around 10 minutes, or until the edges start to brown lightly. Take out of the oven and leave on trays for a couple of minutes to allow cookies to set before transferring to a cooling rack. Hope everybody had a safe and happy Easter! 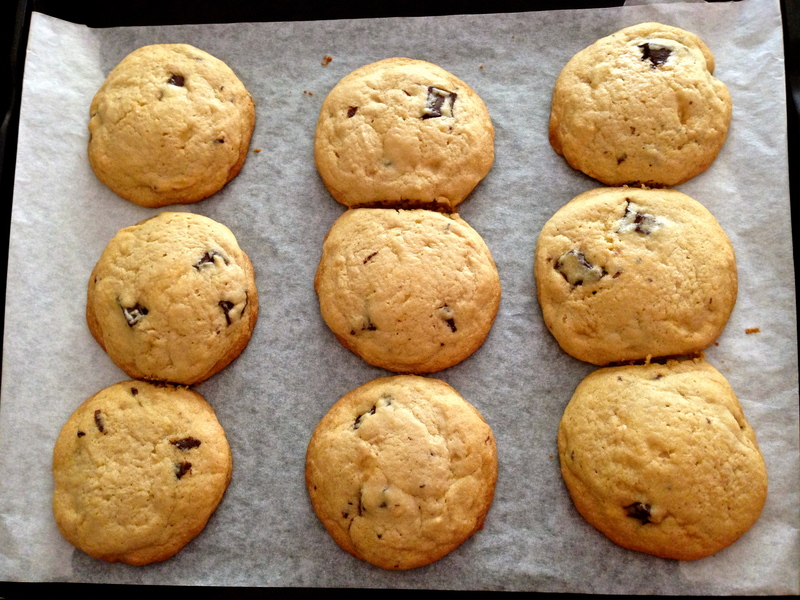 It was a very humid day and probably not one I would ordinarily choose to spend in a kitchen baking cookies. However, it is Christmas (almost) and I had a lot of German Lebkuchen dough, add to that an invitation from my friend to join her in baking and decorating Christmas cookies and well, that’s essentially how I ended up on a muggy day in a hot kitchen making a couple of dozen little Gingerbread men (plus other shaped cookies). In terms of taste, I find they’re not bad for my first go at this recipe. I think that not having spent an entire afternoon making the actual dough helps a lot in terms of my desire to eat the end product. I found that yesterday when I baked the other set of cookies I didn’t want to even look at them in the end because I had spent so long creating them. The recipe is essentially the same one as the Pfeffernüsse recipe that I posted the time before last, minus the pepper but plus slivered almonds. The white cookies in the third picture are sugar cookies and we used royal icing for decorating.